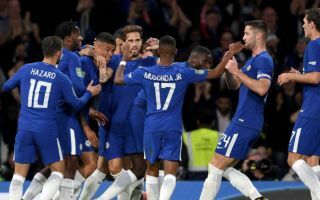 Chelsea could reportedly raise as much as £100million from player sales this summer with a number of their loan players and backups facing uncertain futures at Stamford Bridge. With qualification for the Champions League next season looking unlikely for Antonio Conte’s side, it looks as though the club may have to sell before they can buy in the next transfer window. Chelsea’s loan policy could pay dividends here, however, with the Blues having a high number of players they could realistically ship for decent fees after spells away from the club. According to the Telegraph, it is the likes of Michy Batshuayi, Kenedy, Kurt Zouma, Danny Drinkwater, Marco van Ginkel, Lucas Piazon, Pedro and David Luiz who could be contenders to head out this summer. None of those seem likely to be regulars for Chelsea any time soon, so cashing in on them now could make a great deal of sense if it helps raise funds to invest in one or two world class players who could genuinely improve the squad. The Telegraph also links Chelsea with an interest in Manchester United forward Anthony Martial, who could be a popular addition, though other top sides are also reportedly in for him.